Mostly everybody heard about daisy crochet flowers. On our website you can find a few different patterns how to do blankets or throws with this motif and stitch. But now we prepared the special another one super pattern with tutorial which are easy and helpful. 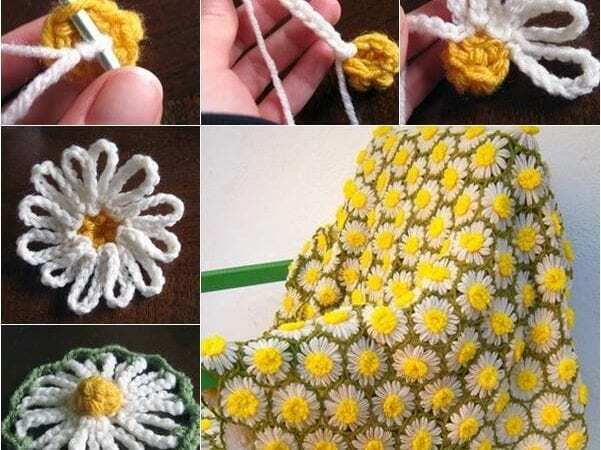 Precisely you will know how to make daisy blanket. Simply with the tutorial movie there are pattern steps included. Even beginner can do that. Share your final work in our facebook group.